There are some quintessential fall sweets that have become tradition in our house. One of those is caramel apples. When I was growing up I remember getting candy covered apples at fairs or chocolate covered apples sent at Christmas. Caramel apples though, caramel apples scream fall. They say Halloween. They say New England. 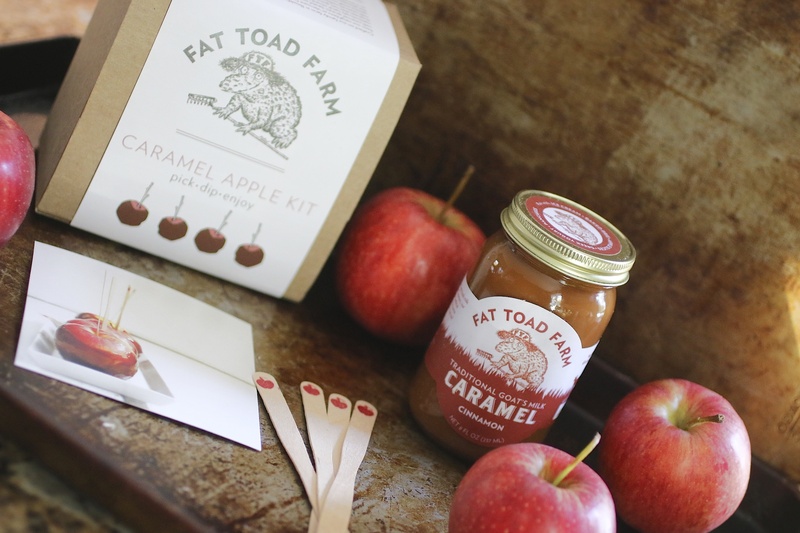 They are easy to make but even more so with this adorable caramel apple kit from Fat Toad Farm. Packaging is everything and Fat Toad Farm doesn’t skimp on design. This kit comes in a great little Kraft paper box, which, when you open it, makes you feel instantly special. A gorgeous card with a picture of the finished product on one side and directions on the other cover spiraled wooden curls which support a large jar of Fat Toad Farm’s cinnamon goat’s milk caramel. Also included are four wooden sticks with a little red apple stamp on top of each. So cute you might think twice about using them! 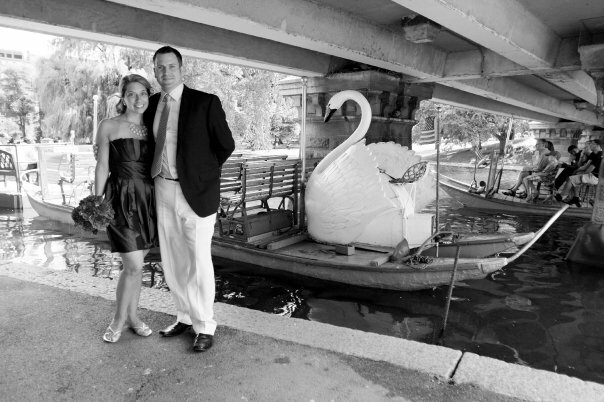 But do, because shouldn’t traditions be special? The directions are easy- insert the wooden stick into an apple. Pour the caramel into a pan, whisk over a low heat for about five minutes and then dip the apples. I rolled some in some fall sprinkles and left a few plain. They went into the fridge for an hour and then they were devoured as an extra special after school treat. What I love about this caramel is that it is super silky. The cinnamon flavor was present, but very subtle so the main flavor was simply the juicy apple and the caramel.